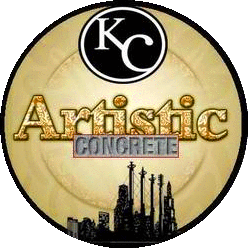 KC Artistic Concrete provides Kansas City concrete resurfacing and coatings for industrial, commercial, and residential areas. At Artistic Concrete Coating’s Inc., we provide three different Concrete Protector Systems from which to choose. Installation of all three systems begin with the same surface preparation. We use industry recognized techniques such as concrete acid etching, pressure washing, grinding or shot blasting to ensure good adhesion. It is important to get the old concrete clean and properly etched to create the perfect bond with our products. Once properly bonded, these acrylic and epoxy resins harden and become actually harder than the original concrete surface upon which they were applied. Many years of maintenance-free and beautiful concrete will be there for your service. This is the premier pool deck coating. This system begins with a 100% cover of our grout coat in the color you pick, then we add dime to quarter sized beads of our acrylic textured cement sprayed across the surface then knocked down to achieve a stucco like texture. The second application can be the same color, or your choice of color to achieve an artistic look on the knockdown. After drying, two coats of Concrete Protector Sealer (clear) are applied. Don’t stop there; add a brick or solid border! This is for a professional three dimensional look. We will base-coat your project with a colored cement of your choice. A pattern or a design is then placed down on top of the base coat, and a topcoat is applied in color of your choice. The pattern, when pulled off, will achieve the raised surface effect giving the project a “three dimensional” look. Highlights in stain or colored cements can then be added. After drying, two coats of Concrete Protector Sealer (clear) are applied. This is considered Stamped Concrete. We do everything in system II, but before we stain, add colored cements, pull the stencil, or seal, we pull a textured roller through the top coat. This will mimic natural stone. We also have a technique that creates and mimics the ultimate wood floor. After drying, two coats of Concrete Protector Sealer (clear) are applied. These systems can be brought to your home or business and shown to you on sample boards. Cementitious Color is used as the base color for all of our concrete coatings in Kansas City. You have the option to pick as many colors as you would like to achieve your desired look. The base color acts as the grout or canvas depending on the application and design specifications. Click here to view our entire line of Cementitious Colors. Click here for Water Based color chart. Click here for Acetone Dye color chart.